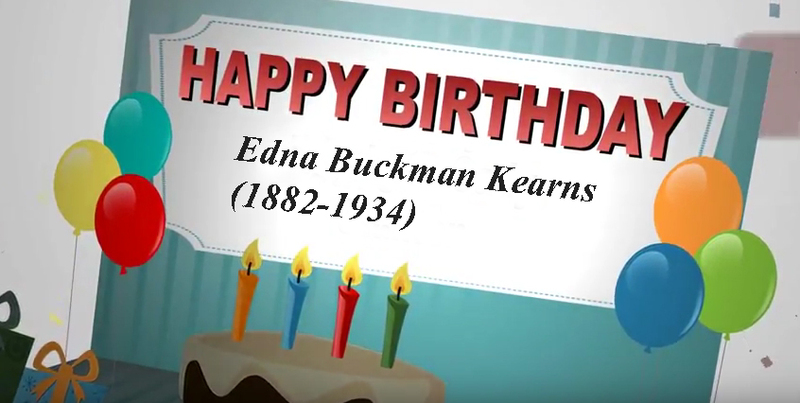 A happy birthday to Edna Buckman Kearns who is best known for her “Spirit of 1776” suffrage campaign wagon she used in 1913 in New York City and on Long Island. She was born on Christmas Day in 1882. Family stories document that she didn’t like having the 25th of December as her birthday, but it certainly helps us now when it comes to remembering. Suffrage Wagon News Channel has been publishing since 2009. We are going into our tenth year during 2019, the year before the 2020 national suffrage centennial. Follow the suffrage wagon as a gift to Edna and the first wave of the women’s rights movement in the United States. A special thanks to those who put themselves on the line. If they hadn’t been the first wave, it would have come later than it did!